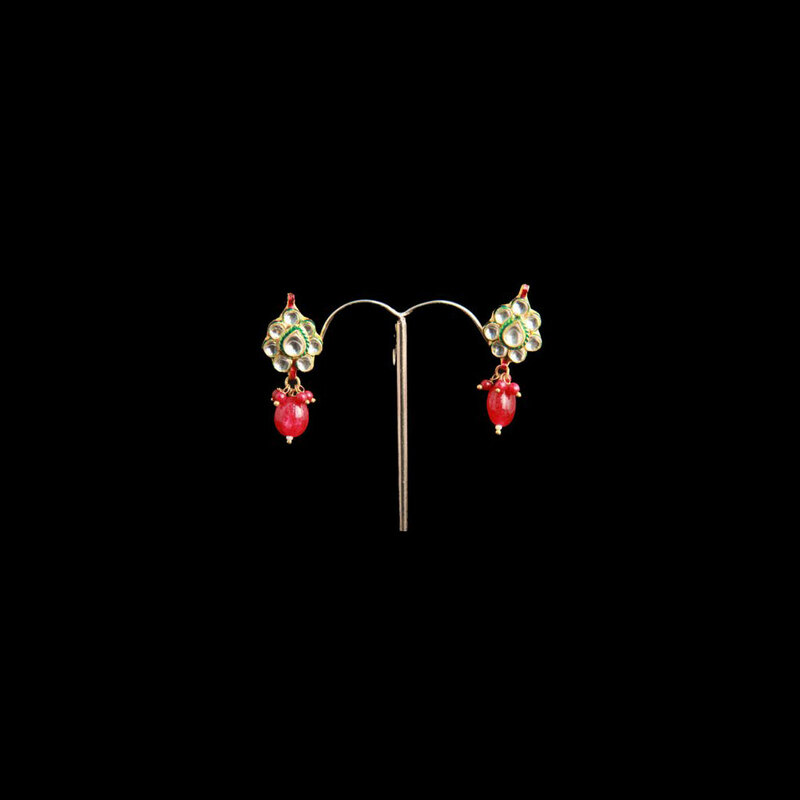 The try of earrings includes of a floral formed bud having browse teardrop hangings at the bottom. The pair of earrings comprises of a floral shaped bud having read teardrop hangings at the base. The simple yet beautiful design of the bud Read More..is enhanced significantly by the white kundan stones placed artistically on the base metal of brass layered with micro gold plating which adds to glitter. Show Less..